Yes yes yes, this is a must-have dress! 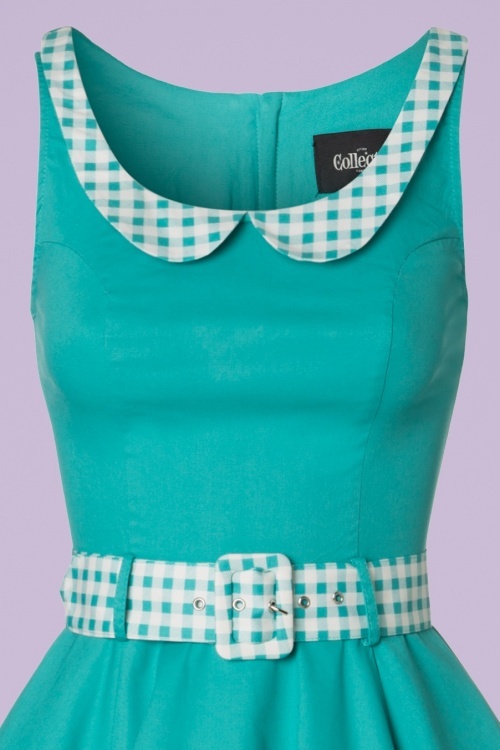 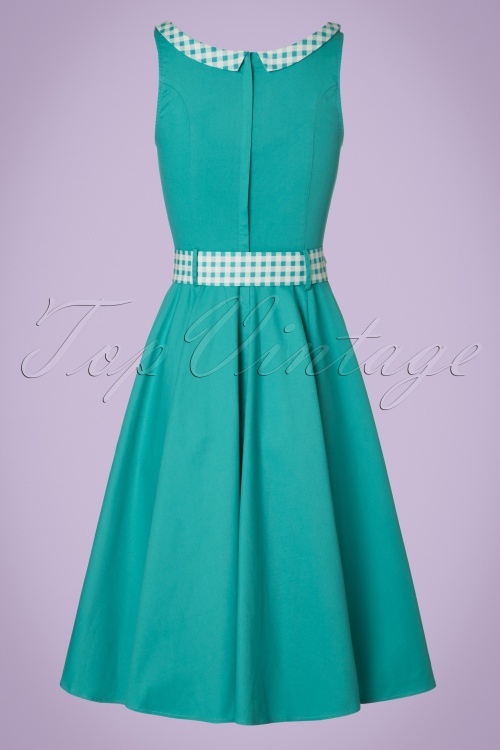 The fitted top features a round neckline with an adorable gingham Peter Pan collar and a matching gingham belt. 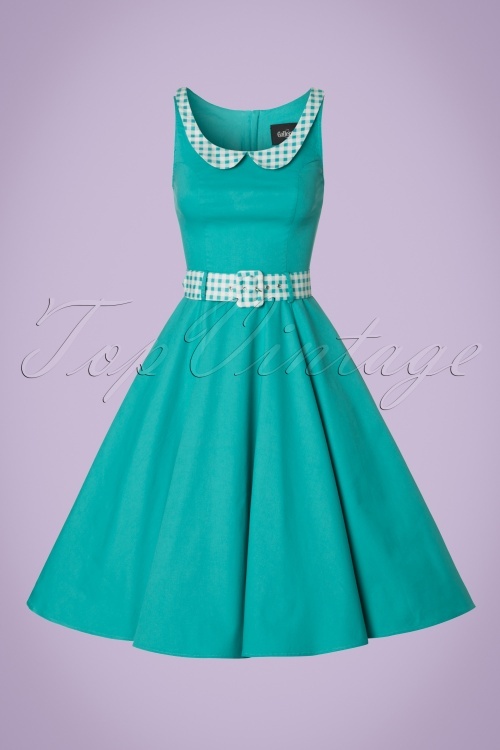 The full swing is not only super flattering but super festive as well, especially when paired with a petticoat. 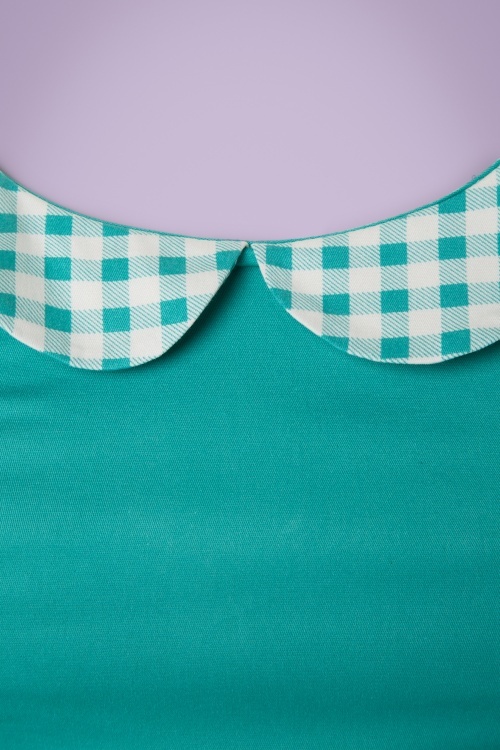 Made from a sturdy yet breezy, mint green cotton blend with a light stretch that's a joy to wear. 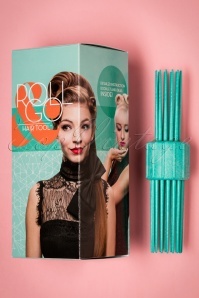 Match with a cute cardi and your fantastic look is complete!